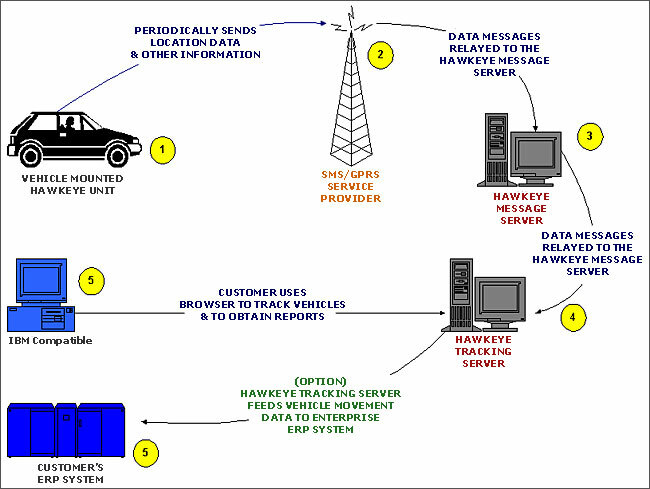 The MMLJ Hawkeye Vehicle mounted unit has an in-built GPS receiver and a GSM modem that transmits and receives location and configuration commands. 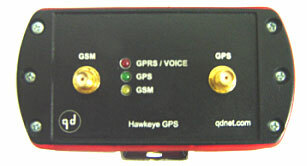 This unit provides real time Location of the vehicle within time intervals up to 2 second if required. The unit receives Latitude and Longitude information from the GPS satellites above. It transmits position along with various sensor information to the server. The client can now view the position and additional information on a Map in real time. The user can configure the unit using over the Air commands and even optimize the transmission to achieve minimum Airtime costs. Storage Memory : Stores over 30,000 positions along with additional information incase of loss of GSM coverage. Input Voltage : Works from 6V DC to 36V DC. Dimensions : L=110mm B=75mm H=56mm. Voice Communication : Supports two way voice communication. Digital Outputs : 2 digital output interfaces can be configured to Lock/unlock doors, Immobilize Vehicle, Enable Vehicle Horn/ Siren, Blinkers, AC on/ off. Digital Inputs : 3 digital inputs can be configured to read digital Odometer pulses for mileage, Doors status, Trunk & Hood status, Ignition, Panic button. Tracking : Supports location transmission of 2-second time intervals and a maximum up to 4 hours. Alerts : Alerts can be programmed on triggering of INPUTS and sent via email or as an SMS or as POP UP on the screen. Digital Output : Various interfaces connected on the digital outputs i.e. immobilize, door locks, AC etc can be enabled and disabled through commands.